Rapper Kanye West hasn’t been the most-liked person lately following the Kanye vs The People controversy. The artist announced his support for Donald Trump and his fans went berserk resulting in him losing about 10,000 followers on social media. Many people are wondering what is going on with Kanye? Is the rapper just trolling for attention or is he speaking his truths? Yesterday, the rapper maintained the spotlight by releasing a new song titled “Lift Yourself”. The song is everything Kanye, like many of his songs in the past it features a sample of "Liberty" by Amnesty in the opening. 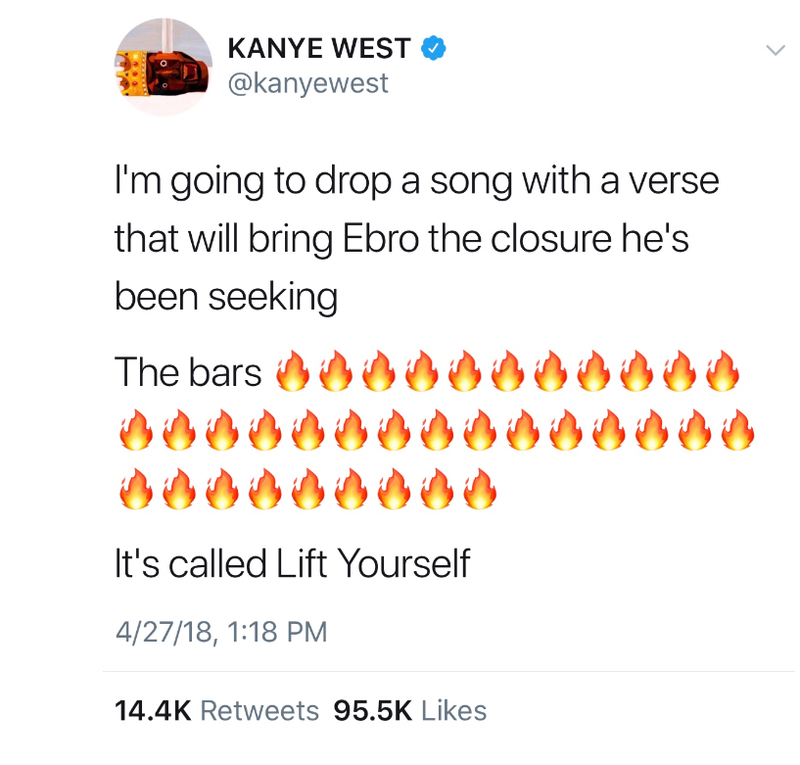 Before releasing the song Kanye tweet "I'm going to drop a song with a verse that will bring Ebro the closure he's been seeking. The bars!". This was in response to Old Man Ebro's recent interview with Kanye's about his views on politics and Donald Trump. Listen to the song by clicking the link below. We all know Kanye is going to be Kanye so it wouldn’t surprise us if something else Kanye related surfaces soon. Comment below and tells us your thoughts on Kanye's new song.